WATCH OUR VIDEO BELOW TO SEE WHAT OUR PERSONAL TOURS ARE REALLY LIKE! We have the highest storm chasing tours guests return rate and tornado intercept success rate than any other tour company including Extreme Tornado Tours, and Storm Chasing Vacations! Our Storm Tours are smaller for a reason - so that we can truly spend more one on one time with you. We refuse to cram a van full with our tour guests because this leaves little to no ability for our tour guests to interact with us like all of the bigger storm chasing tour companies do. Come see why we are different and why we were voted storm chasers of the year and Join us for an unforgettable adventure of a lifetime in Tornado Alley in 2019! Are you a photographer looking to add to your portfolio, or are you interested in photographing weather to just relax? Our storm chasing vacations weather photography tours are perfect for beginners and professionals alike! ALL OF OUR 2019 STORM CHASING TOURS ARE NOW BOOKED FULL. DON'T WAIT TO RESERVE YOUR 2020 STORM CHASING VACATION SEAT TODAY! Experienced Storm Chasers- Over 120 years to be exact. The Extreme Chase Tours Team has the ability to really dig down to the microscale level and forecast to identify and intercept the most significant weather of the day. Solid Intercept Record- We are able to achieve a 90% tornado success rate because of our deep knowledge and understanding of weather, and our forecasting skills that we have honed in and developed over the last 28 years. A Commitment To Our Storm Chasing Tour Guests Since 1999- To be THE MOST affordable and Personal tour company in Tornado Alley. Period. Lanny makes sure that the entire Extreme Chase Tours staff understands the personal commitment we strive for is a top priority! A Dedication To Education- We believe that all guests should leave their storm chase vacation with a better understanding of how the atmosphere works, how to read radar, some of the technical jargon, and how to stay safe! We provide weather briefings and educational discussions to help meet that goal. You will learn more about weather in 6-8 days than you have in your life! OurCommitment To Safety - The entire ECT staff receives complete driving and thorough safety training every year prior to the start of the storm chasing tour season. And, all drivers and guides are screened and approved by our insurance. For Extreme Chase Tours, safety is priority! Safe, Comfortable, Reliable Vehicles - Our company-owned vehicles have been specially modified to carry a maximum of only 4-6 passengers for enhanced comfort and safety. They are carefully maintained, commercially insured, clean and smoke-free. And they have tons of cool storm chasing equipment to help us get you what you have paid for! Commercial Grade Insurance- Before the company even began operations in 1999, we obtained a commercial insurance policy to compliment our commitment to safety. Just Down To Earth - Our chase team is friendly and unpretentious. Our vehicles are fully equipped with all the latest storm chasing tools and we have our own radar. Some thing no other tour company has! We are here for our guests, sharing our knowledge and making sure they receive a unique, fun and educational tour. We offer the highest quality and the most personal experience of a life time while on tour. Check out more of our Storm Chasing Tours videos below! The Great Plains severe weather and storm chasing tours season spans several months, and each month offers something a little different from the next. Extreme Chase Tours recognizes this, and we offer a variety of different Storm Chasing Vacations and Tornado Chasing Tours packages and types which cater to each different part of the overall severe weather and Storm Chasing Tours season. While the month of May is generally accepted as the peak of Tornado Season in Tornado Alley, our team of Storm Chasers and severe weather experts know that Tornadoes can be captured anytime of the year, particularly in the window between April to July. Extreme Chase Tours employs some of the world's most experienced and successful Storm Chasers, meteorologists and Tornado Tour guides who know and understand that severe weather season is much more than just May. Because of our experience, we are able to offer our Storm Chasing Vacations spanning the entire period between April and July, in a variety of Tornado Tours that will fit your needs and wants. We appreciate your interest, and hope you'll consider Extreme Chase Tours for your Storm Chasing Adventure Tours!!! EXTREME CHASE TOURS WAS TESTED, APPROVED, AND HIGHLY RECOMMENDED BY STORMCHASINGUSA.COM! Take advantage of our Storm Chasing Tours group rates with discounted room sharing. Enjoy the savings while on your tornado tour with a group of friends or family members. We are the most experienced personal meteorologists and storm chasing experts offering you the Storm Chasing Adventure Tour of a lifetime since 1999. ​10 storm chasing tours to choose from, with the world's most affordable, top rated intimate storm chasing tour company! Welcome to Extreme Chase Tours, The Leader In Storm Chasing Vacations! Offering the world's most affordable Storm Chasing Tours, Tornado Tours and personal Storm Chasing Vacations since 1999 in Tornado Alley. The Experience Of A Lifetime is what it's all about, and we provide our guests the best Storm Chasing Vacations and Tornado Tours experience among ALL Tornado Chasing Tours. Our professional Storm Chasing Tours are led by some of the best Storm Chasing Tour guides and meteorologists in the world! We are the premiere personal Storm Chasing Vacations company in the industry, offering you The Experience Of A Lifetime! Our Storm Chasing Tours are 6 to 10 days in length and we have a 90% tornado success rate. We also offer Severe Weather Photography Tours and we were the first to offer these types of tours in 1999. The Extreme Chase Tours team are highly experienced decorated meteorologists and real storm chasers who are truly severe weather experts. This experience and the intimate personal one on one attention that we give to each one of our storm chasing tours guests is what sets us apart from ALL other storm chasing tour companies. We pride ourselves on being THE MOST PERSONAL and THE MOST AFFORDABLE in the industry. You simply won't find another Tornado Tours company that offers our intimate and personal setting during your storm chasing vacation! ​Owner, Lanny Dean, started the very first personal Storm Chasing Vacations company in 1999 with a true belief that quality was much better than quantity. That motto has become our mission statement, and it's still how we run our Storm Chasing Trips to this day. We are also the ONLY Tornado Tours company that has our own real time, mobile Doppler radar unit mounted on our tour van. NO OTHER TORNADO CHASING TOUR COMPANY HAS this! Our Storm Tours start and end in the same base city for your convenience. The tour price includes the Storm Chasing Tours, the most personal attention that you will receive on any Tornado Tour or Storm Chasing Vacation, the knowledge and experience of our storm chasers and expert severe weather team, and hotels during your stay. After you reserve your Storm Chasing Adventure Tour, all you have to do is book your flight into the base city. Unlike other Storm Chasing Tours, we don’t treat our guests like cattle or a sardine – everyone in each vehicle gets a window seat! We only put a maximum of four to six people per tour vehicle when utilizing both storm chasing vans. We are always here for you so please Contact us if you have any questions prior to booking. We also have a page explaining some of our most commonly asked questions/FAQ. Making a reservation is easy, simply select the Tornado Tours of your choice from our 2020 Tours page,pay the deposit via the drop down PayPal link under the tour and your seat is then reserved. If paying by other means, please let us know. Come join one of our 2019 storm chasing vacations and you will be going with a storm chasing tour guide who has three decades of tornado chasing tours experience, has documented over 533 tornadoes in the last 28 years and has our very own mobile Doppler radar unit. Reserve your seat today.The Experience Of a Lifetime awaits you! 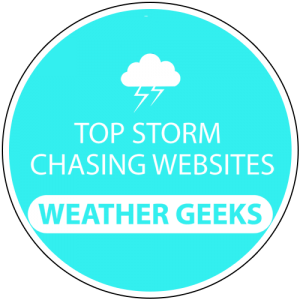 why storm chase with EXTREME CHASE TOURS? Professional Storm Chasing Tours and Tornado Tours with a 28 year storm chasing veteran. Hurry and reserve your 2019 Storm Chasing Vacations seat today! Our professional Tornado Chasing Tour guides will take you on unforgettable adventures throughout tornado alley in the most personal and intimate storm chasing vacation possible.